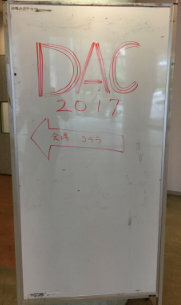 This way to the 2017 DAC! The Dungeons & Dragons Annual Convention (DAC) usually falls at a busy time of year for me, so I haven’t been able to participate until this year. The convention consists of two days of D&D-related gaming, with each player participating in one game for the entire day.